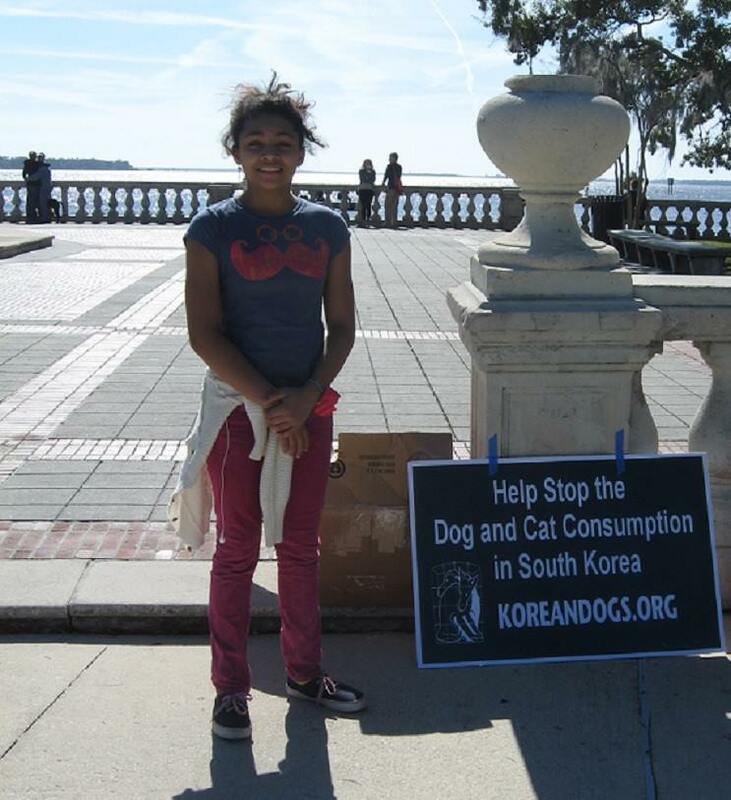 Compassionate young Amiyah helps pass out leaflets and promotional items at Jacksonville, Florida’s Memorial Park on Jan 31, 2015. Home / Blog / Compassionate young Amiyah helps pass out leaflets and promotional items at Jacksonville, Florida’s Memorial Park on Jan 31, 2015. Shared and written by Bob Heisler. 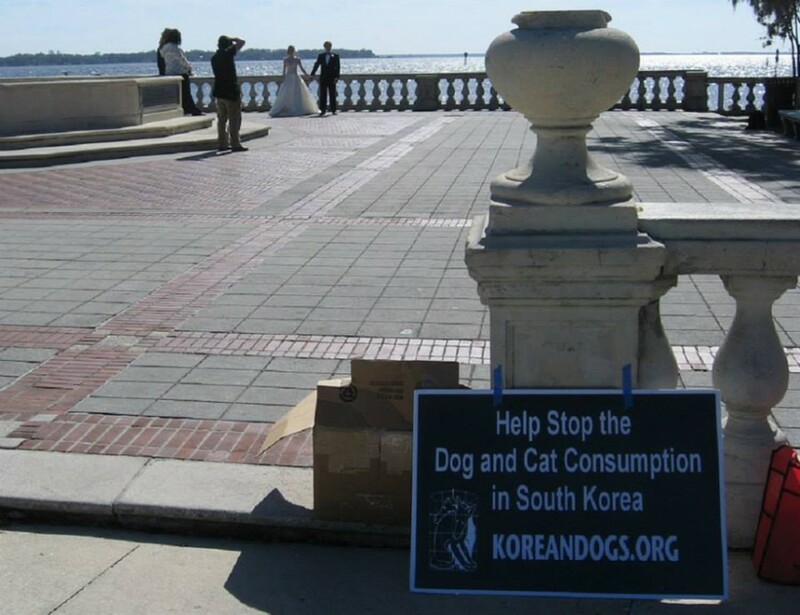 Our regular KoreanDogs.org advocates were doing the Universal Soul Circus demonstration against animal cruelty in Jacksonville, so I was the only activist to participate at this event at Memorial Park. For part of the time a young compassionate girl named Amiyah helped me pass out leaflets and promotional items. I gave her and her young friends back packs, visor hats, key tabs, and Frisbees. We gave away many promotional items and the response was very positive. One yahoo said that he liked eating dog meat but he also told me that he had open heart surgery at a relatively young age. Dog meat is extremely unhealthy. GO VEGAN! I was very encouraged by the group of young people who gratefully accepted the promotional items and were sincerely interested in doing whatever they could to stop the cruelty. Amiyah helped me pass out leaflets and items. She is a very wise and compassionate young person. We need more people like Amiyah! 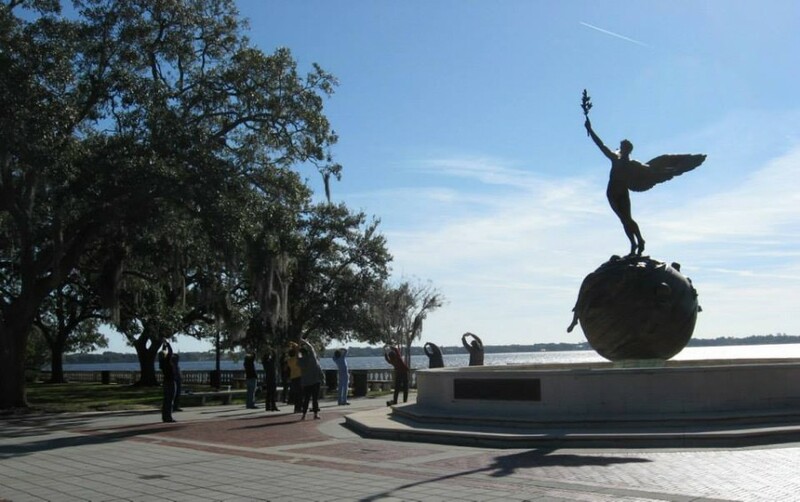 There was a Saturday morning yoga group at Memorial Park on the St. Johns River. My brother and I floated our toy boats in that fountain when we were children long ago. The City of Jacksonville recently drained it because homeless people were bathing in it. The KoreanDogs.org red Frisbees were very popular. 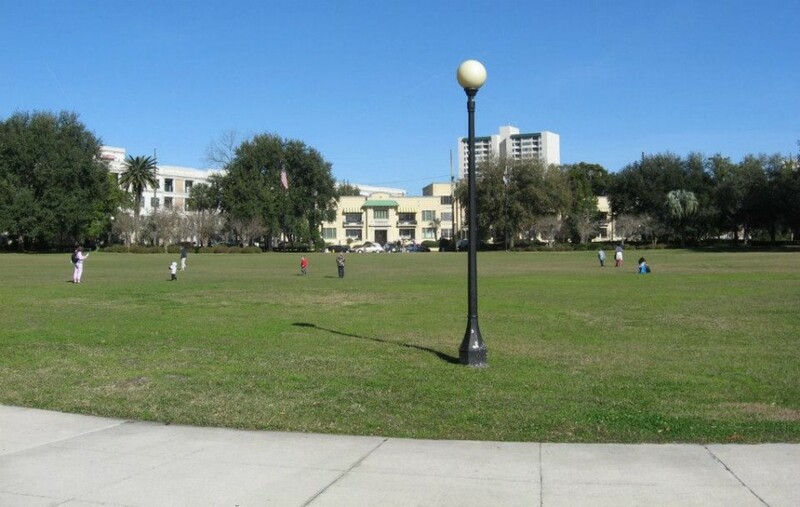 Here are some children throwing the Frisbees in the grassy center of the park. A bride and groom were having professional photographs taken all over the park for a couple of hours. The photographer even used a drone video camera. Each of us have different talents that we can use to help lessen the suffering in this world. 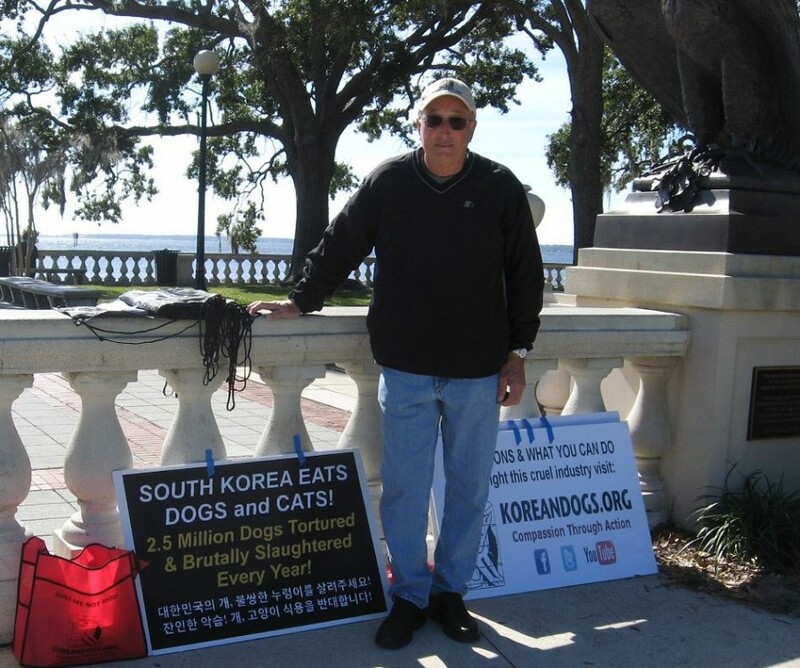 Bob is dedicated to help bring the horrific South Korean dog meat cruelty to an end and very good with being out there on the streets for face to face outreach campaign. 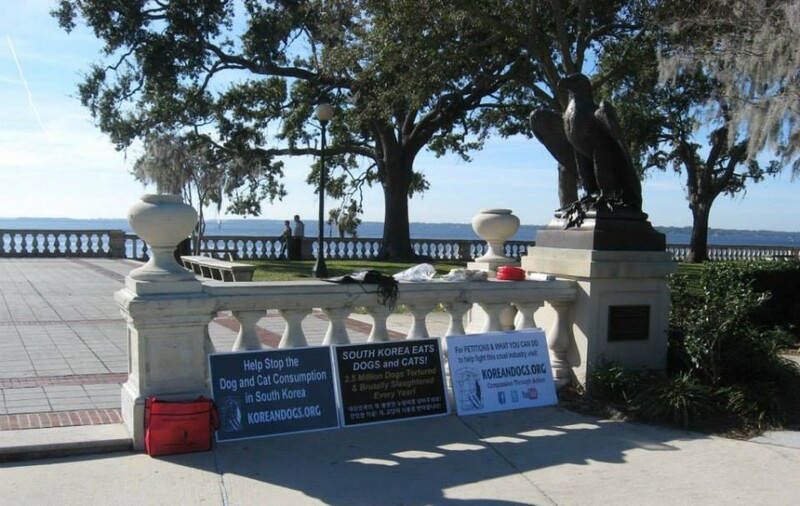 He was out at the Jacksonville Memorial Park again last Saturday handing out leaflets and free items that he has generously paid for. Thank you so much, Bob! You inspire us to do more and help us restore our belief in human kindness!